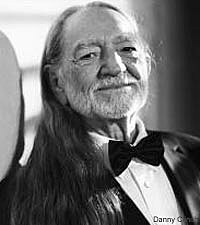 When Willie Nelson took a detour from his country outlaw ways to record the 1978 album of pop standards 'Stardust,' a lot of people thought he was -- to borrow the title of one of his own classic songs -- crazy. Boy, did he prove them wrong. 'Stardust' went on to sell more than 5 million copies, becoming the most successful album of the music icon's illustrious career. It also won him a Grammy and a spot on Rolling Stone's Greatest Albums of All Time list, along with a newfound respect beyond country music. 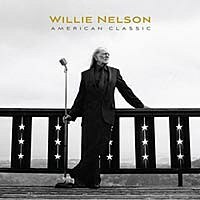 Some 31 years later, Willie revisits a new collection of Tin Pan Alley standards on 'American Classic,' offering the Redheaded Stranger's unique take on jazz and pop favorites, including 'Ain't Misbehavin',' Fly Me to the Moon' and 'The Nearness of You.' And this time, no one's calling him crazy. The title, 'American Classic,' no doubt represents the tracks on the album, but it is perhaps even more indicative of the unmistakable voice singing them. 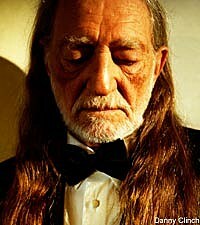 The Boot got the rare opportunity to talk to the one-and-only Willie Nelson about the new album. Calling us from his home in the Hawaiian island of Maui, the 76-year-old musician, who shows no signs of slowing down anytime soon, also gave us a preview of upcoming movie and music projects, along with some surprising insight into his personal life that doesn't quite fit his outlaw image. You set the bar high with 'Stardust.' With this new album of standards, are you worried that you have a tough act to follow? Was narrowing the song selection down to 12 of your favorites difficult? It was hard. Joe Sample and I got together with [my producer] Tommy LiPuma at my place in Austin, writing down songs. We probably had 20 or 30 that we thought would fit the album. We finally wound up with these, because they're songs that I'm more familiar with. What prompted you to rerecord 'Always On My Mind' for this project? Actually, that was not one of my choices. Tommy wanted me to do that, and who argues with Tommy? This new version of the song was initially supposed to be a duet with Barbra Streisand, right? So what happened? I really don't know! That was my thought -- that it would be great if she were to sing that with me. We've talked about doing something together for years. But I haven't talked to her. For whatever reason, she didn't sing on the record. So I thought, well, there's no use putting it out again if she's not singing it with me. But they wanted to anyway! When you're singing 'On the Street Where You Live,' is there a particular street in Texas, Hawaii or anywhere for that matter, that brings back a fond memory? Over the years, there have been a lot of streets! [laughs] So I can relate to that song pretty well. This record is being marketed as an album of standards, but it can also be called a collection of love songs. Every single track on it is romantic. Was that intentional? Yeah, we wanted to do like 'Stardust,' which is all romantic love songs. This is just another batch of great love songs. I'm a romantic slob! [laughs] Someone said that once: If you're gonna take one, you've gotta take the other. Norah Jones, your duet partner on 'Baby It's Cold Outside,' has said, "Willie always puts his stamp on what he's doing." How do you define that stamp? I guess if you can't sing, you better have a style! [laughs] To me, Hoagy Carmichael, Shel Silverstein, Kris Kristofferson and all those guys are stylists. I wouldn't think that we're great romantic singers, but we're stylists. When you hear Kris singing, you know immediately that's Kris. When you hear me, you know it's me, regardless of the song. Both Norah and Diana Krall, who sings with you on this album on 'If I Had You,' have become recurrent duet partners of yours. One of my favorite recordings is you, Diana and Elvis Costello doing 'Crazy' together, live in concert. Well, thank you. That is a good one, isn't it? We were doing this show, and they called my manager, Mark, to ask for tickets to the show. Mark said, "You can come see the show, but you've got to sing!" It's a great record. Musical arrangements throughout this album have that jazz-club vibe. 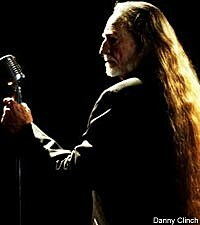 People love it and respect it when Willie does jazz, or Willie does rock, reggae ... You can dabble in any genre you'd like without resistance. So what do you say to critics of country acts like Taylor Swift or Rascal Flatts, who dabble in pop music and get criticized for it? Since I don't really know who they are ... [laughs] ... I don't want to say anything derogatory about somebody I don't know! [laughs] And they are entitled to their opinions, but I'd say they're being picky! And I just always have done that -- it never really seemed like a stretch for me to sing different music. I grew up playing in bars, where you took requests. You made your living taking requests, so you learned all the songs like 'Stardust,' 'San Antonio Rose,' 'Moonlight in Vermont.' And I like all kinds of music. You've got to please the crowd. It wasn't hard for me to go back in the studio and do all these songs that I've been doing all along anyway. A lot of people may be surprised to hear that you are quite the health nut these days. I don't drink anymore. That was always my biggest problem. I never did cocaine or any of those things. Alcohol was always my enemy, for as far back as I can remember. When I quit drinking and quit smoking cigarettes, a lot of my problems went away. You've released four albums in the past year, while most of today's stars put out one album every two years. Is this the pace we can expect from you from here on out? There are 32 sides that I did with James Stroud that have yet to come out, and I just finished doing an album with Leon Russell. And in the can, there's the audio and video I did with Wynton Marsalis -- a tribute to Ray Charles. So there are four or five ready to come out .... well, in the next week! [laughs] And I'm going up to Nashville on Sept. 10 to do an album with T Bone Burnett. Wow! Will the T Bone project be an album of originals? It'll be an album of old, classic bluegrass, blues ... T Bone collected a bunch of songs like '16 Tons,' 'Satisfied Mind' and some old blues songs. I'm not sure when you actually sleep, because you also told us in our "Twitterview" that you've got some movies in the works. Can you give us a sneak preview of any of them? There are a couple of movies we're talking about doing. There's a script called 'Shoot Out of Luck,' which is a comical Western that we want to shoot in a Western town that we built right outside of Austin. It's got a bar and a church -- we've shot a few movies there, and a video. You're about to go on tour with Dave Matthews and with your son's band, Lukas Nelson & the Promise of the Real. With a tour schedule that never slows down, how do you mix it up on the road? Can fans expect anything different from these upcoming shows? We just did a video called 'Shoeshine Man.' It's funny the way it all happened, because on my computer, there's a camera with all these special effects. I've included it in my show. I'd love for you to go watch it, I think you'll like it!